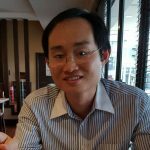 2019 will be year Chinese dairy companies start deepening their engagement with the Southeast Asia market. Indonesia and Thailand will serve as the springboard into the rest of the region. On 29 November 2018, China’s dairy giant Mengniu officiated the opening of its 60th dairy plant. The new Mengniu YoyiC Dairy Factory in located is Cikarang, Indonesia. It is also the Chinese dairy company’s second overseas dairy processing facility. The first is located in New Zealand. Construction of the factory in West Java started in March 2018 and was completed less than one year, which demonstrates the speed in terms of the execution. According to the press release, the total investment is more than USD 50 million. The factory has a designed output capacity of 260 tonnes a day with a yearly output capacity valued at USD 160 million. The production facility will produce YoyiC probiotics beverage and yogurt products. The YoyiC series will be available in more than 12,000 stores in main cities in Indonesia in December. YoyiC is currently sold in China, Macau, Hong Kong and Singapore with plans to export its made-in-Indonesia YoyiC to Malaysia, Singapore and the Philippines in the near future. Having a production facility in Indonesia will enhance Mengniu’s competitiveness in the Southeast Asia market. 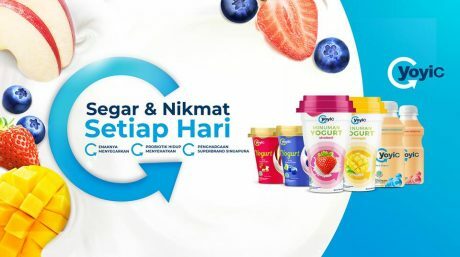 The Mengniu products in Indonesia will include two YoyiC probiotic beverages (or cultured milk) – original and lychee, two YoyiC yogurt drinks (mango and strawberry) in a cup, and two YoyiC yogurt dessert (blueberry and apple caramel). Both the YoyiC yogurt drinks in a cup and YoyiC probiotic drinks need to be chilled. 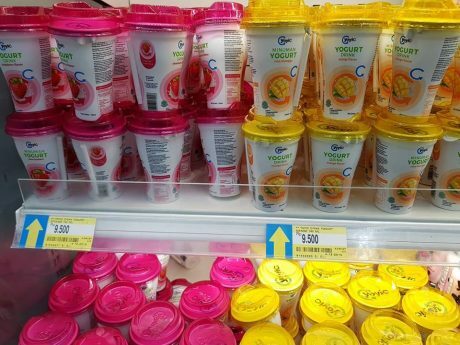 At Hypermart, YoyiC probiotic drink (200ml) is priced at IDR 8,700 and YoyiC yogurt drink in a cup (140ml) at IDR 9,500. The milk used at the factory will come from New Zealand and will be fermented using Danish probiotics, reported Bisnis.com. The initial output is 90 tons a day. Mengniu is downplaying its Chinese heritage by focusing on the Superbrands Singapore award it received in the Singapore market as a mark of quality and trust. Apart from retail, Mengniu has plans to target the hotel, restaurant and cafe (HoReCa) channel with recruitment for the HoReCa sales team still on going. The cultured milk market is a challenging market where only a handful of players are able to thrive. 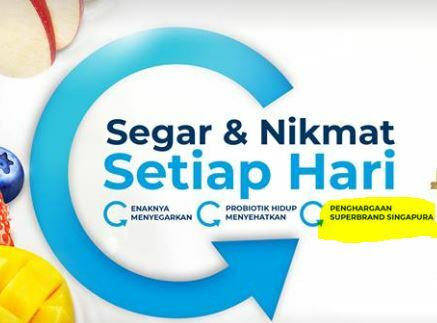 Yakult is currently the market leader in Indonesia. OT Group’s VitaCharm used to compete in the same market but has exited the market years ago, leaving Yakult as the dominant player. Retail store and home delivery sale (ie Yakult Lady) are key distributing channels for Yakult. The ratio of home delivery out of total sales reached 51.2% in 2016, up significantly from 19.4% in 2007. Mengniu may need to embrace the home delivery approach to win the market. With the popularity of food delivery, Mengniu can consider working with Go-Jek and Grab for the regular home delivery of cultured milk drink. In Indonesia, cultured milk is often positioned for children, thanks to its small bottle. To expand usage, adults and young consumers can be a new market for cultured milk. We have seen Nutrigen in Malaysia and Betagen in Thailand scoring success with their cultured milk in a larger bottle. Culture milk in Indonesia can innovate by moving in the same direction. Mengniu’s key competitor Yili, through its local unit PT Green Asia Food Indonesia, is currently focusing on selling its Joyday ice cream in Indonesia. 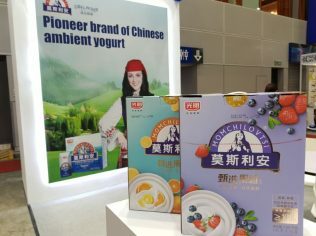 There is a possibility Yili will start introducing yoghurt and milk products into the local market down the road. 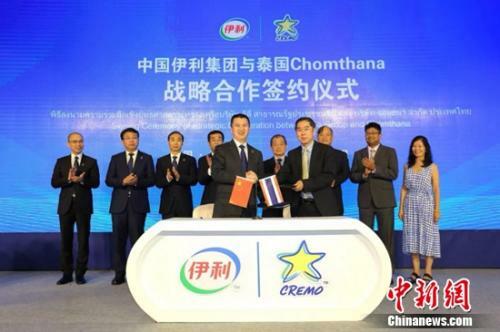 Yili announced on 29 November 2018 that it has signed an agreement to purchase a 96.46% stake in the Thai mass market ice cream and frozen bun maker The Chomthana Co Ltd. Chomthana is known for its Cremo ice cream and private label brands. 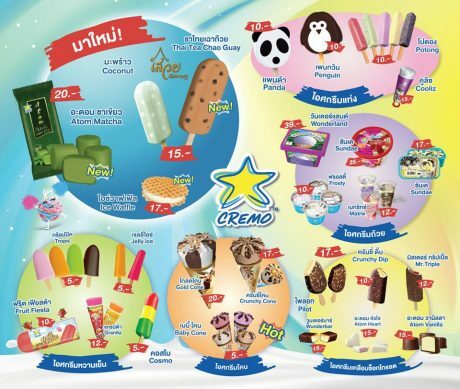 Its Cremo ice cream are sold in Thailand and in neighbouring Malaysia. Chomthana revenue in 2017 reached USD 34.38 million with a net profit of USD 3.23 million. First half 2018 revenue stood at USD 18.24 million. Yili’s inroad into Indonesia and the plan to purchase a controlling stake in a Thai ice cream maker reveals its huge ambition in the Southeast Asian ice cream market. Bright Dairy is a late comer to the game. The company first exhibited at Thaifex 2018, followed by having a standalone booth at the Malaysian International Food & Beverage Trade Fair (MIFB) in May 2018 to promote its ambient yoghurt. The company plans to price its ambient yoghurt at a premium similar to the pricing of Yili’s Ambrosial ambient Greek-style yoghurt drinks in the region.